Is there an appropriate age for kids to get their first cell phone? 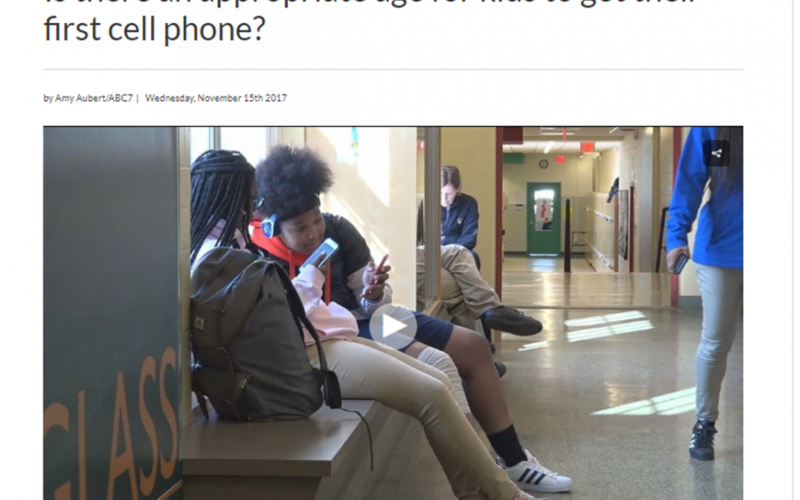 WASHINGTON (ABC7) — “If I let them be on these devices all the time, they would be,” said Diana Smith, Principal at the Washington Latin Public Charter School, of when students can use their cell phones during the school day. Smith says now, most of the fifth graders, the youngest grade offered in the charter school, have cell phones. “I’ve got a lot of ten-year-olds wandering around this building with $250 phones,” she said.